Welcome to Inner Path Acupuncture, the Traditional Chinese Medical practice of Megan McCanna, licensed acupuncturist located in beautiful Boulder, Colorado. Traditional Chinese Medicine is an Eastern form of healing that has been practiced for more than 4,000 years. It is accepted around the world as a safe, effective and holistic complement – and in many cases as an alternative, to western medicine. TCM acts as a guide to harmonize the physical body with the mind and spirit, addressing the whole being. Traditional Chinese medicine (TCM), as an ancient medical system, has a sophisticated clinical and written history. The cornerstone of traditional Chinese medicine is the recognition that our health is not simply freedom from disease, but rather that health is maintaining balance within ourselves and creating an equilibrium with the environment around us. This internal and external harmony helps us to live healthier, happier and longer lives. Chinese medicine treats the whole person – it is not solely focused on the physical ailment as it addresses the underlying causes as well. Its diagnostic and therapeutic strengths lie in its ability to identify and treat both the source of the illness as well as the presenting symptoms. In this it differs from Western medicine which often tends to focus on symptomatic relief. Lifestyle imbalances from overwork, improper diet, poor posture, and poor sleep. Through treatment these imbalances are re-patterned, the internal environment is changed, and equilibrium is restored. Inner Path Acupuncture in Boulder, Colorado is the Traditional Chinese Medicine practice of acupuncturist Megan McCanna, L.Ac. Megan offers herbal medicine and a variety of treatments for pain relief and digestive issues and women’s health and has patients from all over Boulder County from Longmont and Lyons to Broomfield. 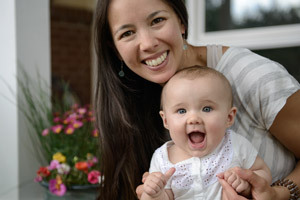 Megan specializes in fertility acupuncture, acupuncture for pregnancy and postpartum acupuncture treatments. Megan's gentle nature and skillful touch are not to be missed. I so appreciate her knowledge of herbs and very much enjoy the convenience of her beautiful office space in downtown Boulder. © 2019 · Inner Path Acupuncture.